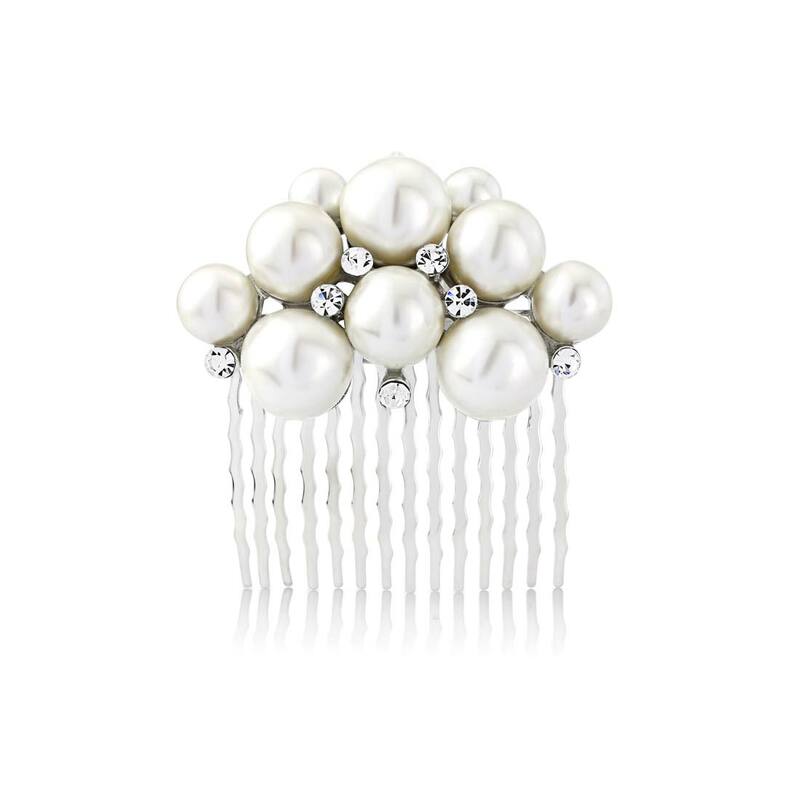 Bejewel your hairstyle with a cluster of pearls and a shimmer of crystal for 1950s elegance. Oozing glamour and romance, our Statement of Pearl Hair Comb epitomizes elegance achieved with hair accessories from past eras. Set on silver tone, this exquisite comb features a cluster of large shimmering light ivory faux pearls enhanced by a scattering of single clear Austrian crystals. A versatile 'piece', it looks divine pinning up loose strands at the side of the head or decorating a chic up-do for a more sophisticated look. 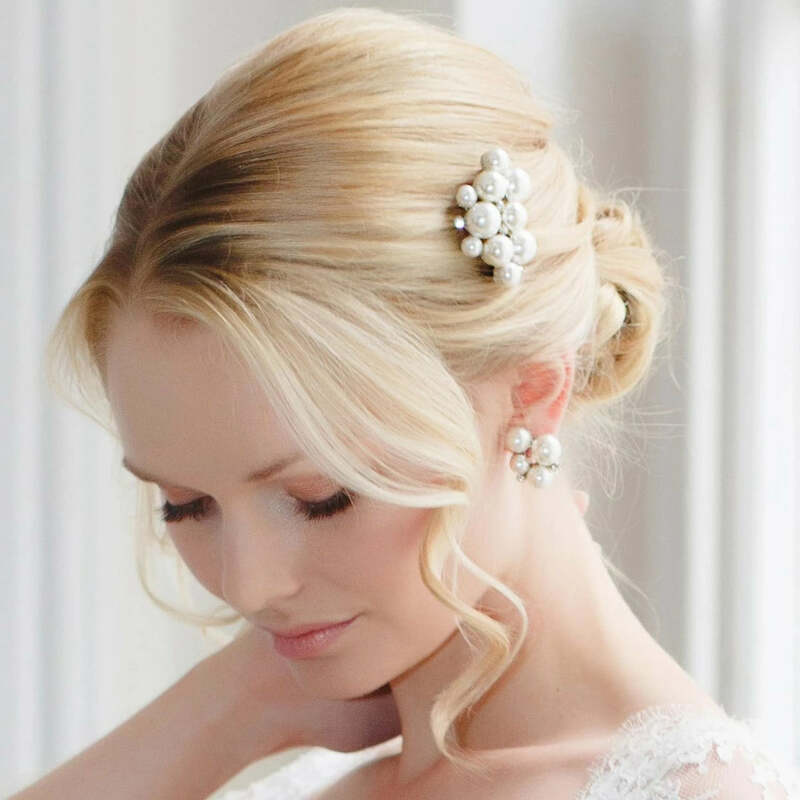 Perfect for brides who adore a vintage style, this gorgeous comb will complement an array of antique inspired gowns. For a dramatic look, coordinate with our bold matching necklace and bracelet or opt for a more subtle bridal style with our simple Statement of Pearl Earrings.